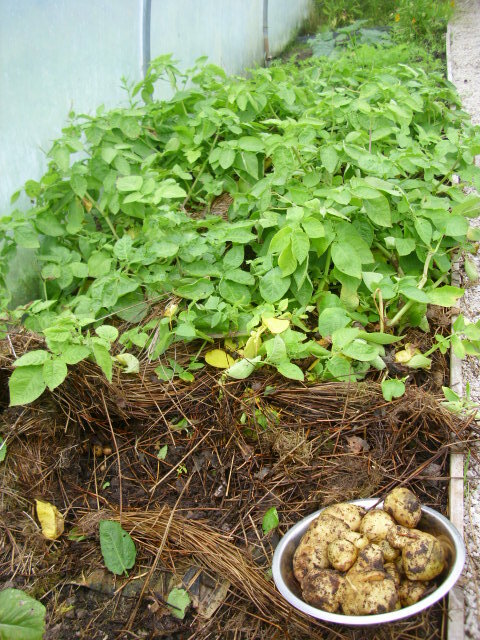 Arigna Natural Gardens » A different way to grow potatoes. A different way to grow potatoes. 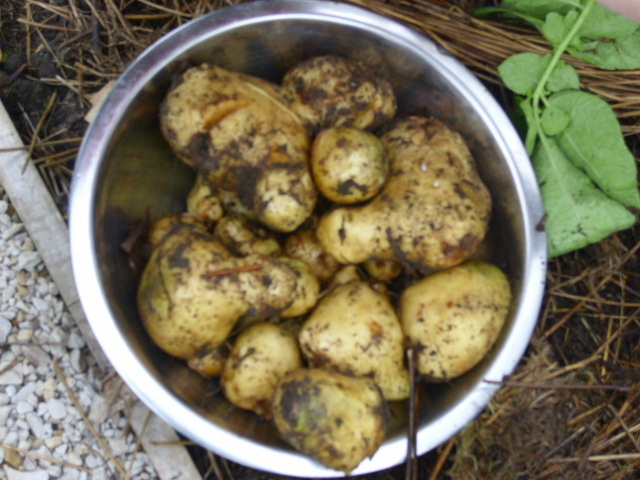 These Colleen potatoes were a trial we did in the polytunnel. We covered the ground with newspapers, put the potatoes on the papers and then covered with rushes. They were given the occasional comfrey feed, and this is the result!. We were amazed at the potatoes we got. Some of them are huge!. We will definately be using this method again, probably on a larger scale!. 1 comment to A different way to grow potatoes. great idea …will try myself.